I ran some numbers on this list just for fun. 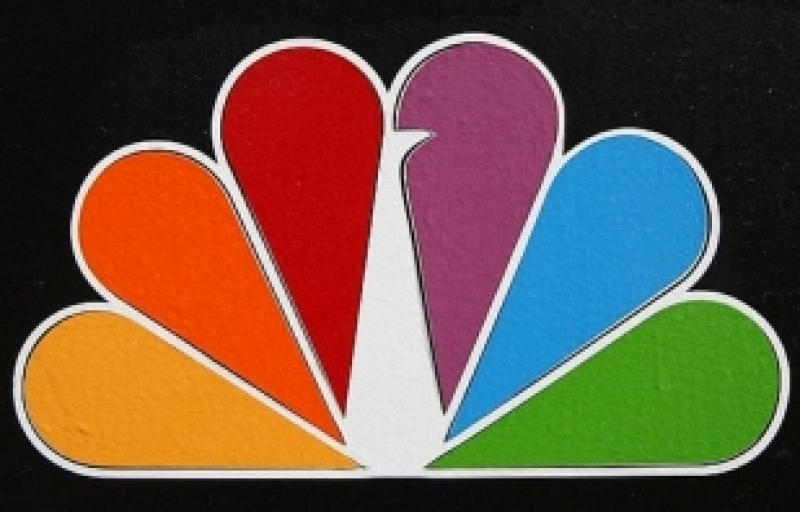 As far as network representation, NBC has 21 shows, ABC 11, CBS 9, The WB/CW, ESPN, and HBO have 2 each, USA & MTV each have 1, and there are 2 shows that are/were strictly first run syndicated. Curiously enough Fox has apparently never produced a show that frosted my cupcake all that much. 18 of my choices were mainly 80’s shows, 14 were 90’s shows, 4 came and went before I was even born (ahhh…the magic of reruns), and only 5 shows emanate from this century (2000 and beyond for those of you in Wyoming County, WV who might be having a friend from civilization trained in the literary arts reading this to you). Only 8 are still in production. 27 of my selections are comedies and 11 are dramas. A couple of shows are the difficult to pigeonhole hybrid dramedy, and then we have a game show, a couple of soap operas (thanks to my childhood babysitter), four late night comedy talk shows, two sports talk shows, and a few shows that simply cannot be categorized. This information may not interest anyone but me, but I found it thought-provoking. Now, onto the first ten selections!! I always found the crew from Capeside, Mass. To be far more interesting than those other high schoolers on the left coast that resided in the 90210 zip code. My Dad and my Papaw Jim loved the adventures of junkyard magnate Fred Sanford and his son Lamont. 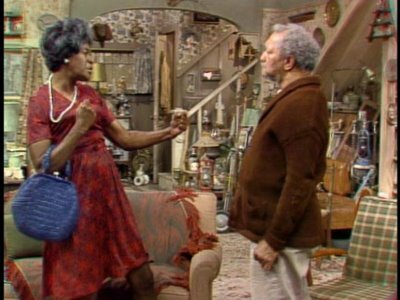 I always got a kick out of the banter between Fred and his sister-in-law Aunt Esther. This show was cancelled when I was 5 years old, but reruns were so ubiquitous throughout the 80’s that it was never really off the air. As a red-blooded American pre-pubescent boy I had an appreciation for “jiggle TV”, a term which makes me laugh now. The explicit, craptastic vulgarity so pervasive on television today makes this show seem like religious programming in comparison. In an early season of the 90’s hit Friends the characters are watching an old rerun and someone sardonically says “Oh…I think this is the episode of Three’s Company where there’s some kind of misunderstanding.”, which pretty much encapsulates the show perfectly. It wasn’t exactly Shakespeare, but I think maybe it flies under the radar when looking back at past great comedies. The vast majority of this show’s original run came when I was too young to appreciate good quality television, but reruns were plentiful throughout the 80’s. 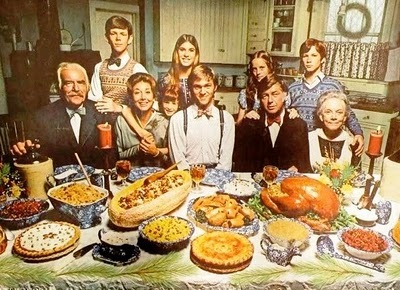 One would not think a family drama about a large family’s triumphs & tragedies during The Great Depression would be all that entertaining, but I must say, television would be much better off if more family friendly, morally upright, well written shows like The Waltons were still around. Here we have another premise that would seem to fly in the face of conventional wisdom but proves that maybe all that mumbo jumbo about target demographics and appealing to a younger audience isn’t always accurate. 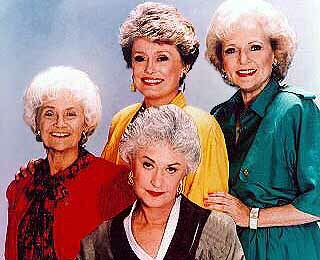 Who would think that a teenage boy would enjoy a show about a group of female seasoned citizens relishing the autumn of their years with the vitality (and libido) of women half their age?? Spiderman is okay. Superman is…well…super. But for my money the coolest superhero of all time is Batman. He’s not from another planet. He isn’t the result of some lab mishap. He doesn’t have any super powers. He’s just an ordinary guy that happens to be filthy rich, psychologically damaged, and dresses in a cowl & cape to exact vigilante justice on bad guys. And while the big screen versions of the story (both the 90’s Tim Burton flicks and Christopher Nolan’s gloomy vision) are more in line with the gritty tone of the comic books, I really love the campy, kitschy cheesiness of the 60’s TV show starring Adam West & Burt Ward (with the well-known rogues gallery of villains played by folks like Burgess Meredith, Caesar Romero, Eartha Kitt, and Frank Gorshin). 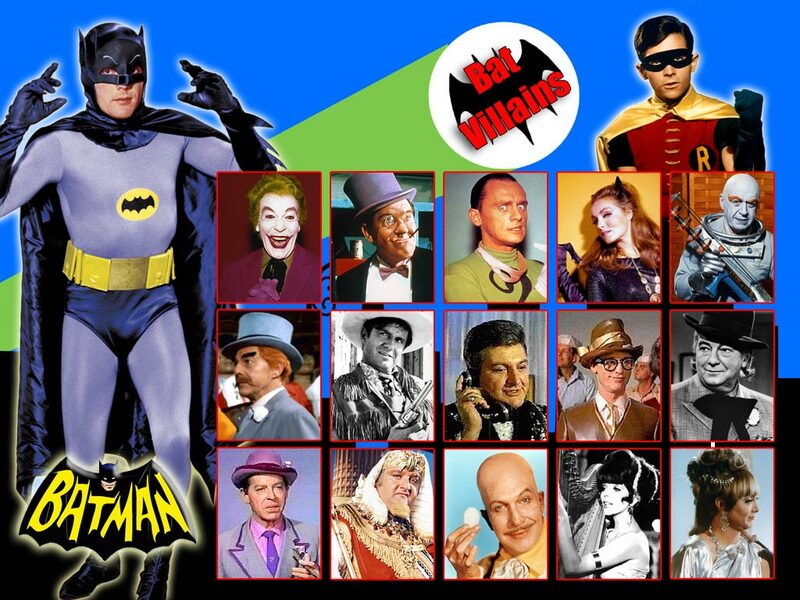 It was on before I was born of course, but when Burton revived interest in The Caped Crusader two decades ago old reruns started showing up on television and I was instantly hooked. I’ve not been on a cruise…yet. But when the time comes how cool would it be to find love with another passenger, have dinner at the Captain’s table, and get drinks from a bartender as cool as Isaac?? 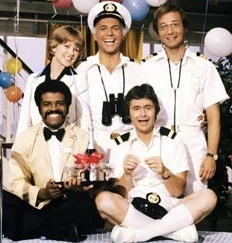 Love Boat served as a side job for many past-their-prime TV & movie stars, who played passengers. This concept kept the show fresh for a few years longer than it otherwise may have been since the main cast were actually just supporting players on a weekly basis. And let’s talk about the disco infused theme song!! I’ll admit publicly that I still…25+ years later…randomly belt it out (badly) on occasion. Cute babies?? Check. A saccharine sweet TV Dad no real father could ever live up to?? Check. A lil beefcake for the ladies?? Check. Conflicts that were all easily solved and wrapped up with a very special life lesson in less than 30 minutes?? Check. This wasn’t anywhere near the cutting edge, but rather a show that knew exactly how to push all the right buttons and did so with reasonable success for nearly a decade. It’s what we all seemed to prefer back in the day. Some from an older generation might prefer comedian Bob Newhart’s previous effort, the 1970’s sitcom The Bob Newhart Show, in which he played a Chicago shrink hilariously interacting with co-workers and patients. 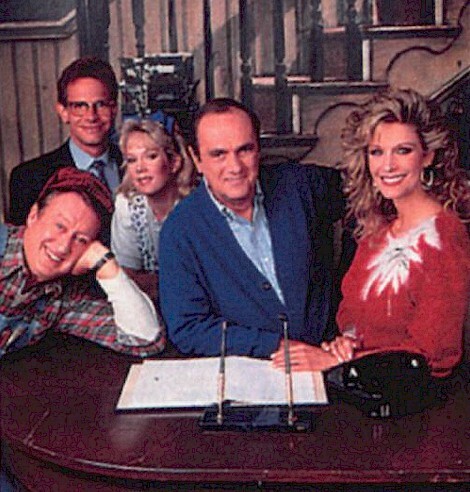 However, I lean toward Newhart’s second foray into TV in which he played a Vermont innkeeper & author hilariously interacting with employees and townsfolk. 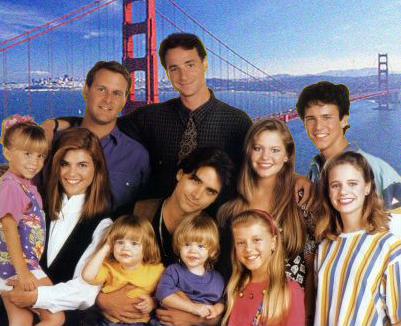 This show produced undoubtedly one of the greatest series finales in the history of television on May 21, 1990 (less than 2 weeks before my high school graduation). In 1983 Craig T. Nelson played a hardnosed high school football coach in the film All the Right Moves, one of Tom Cruise’s early stops on the upward climb to superstardom. 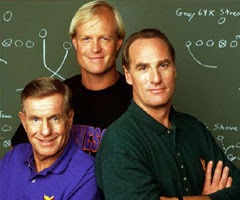 Six years later Nelson would again play a football coach, this time at a fictional Minnesota college in quite possibly one of the more underrated sitcoms of the 1990’s. Curmudgeonly Coach Fox’s interactions with his two blundering assistant coaches, Luther & Dauber, were the centerpiece of the amusement, as was the relationship with his classy, way out of his league girlfriend. 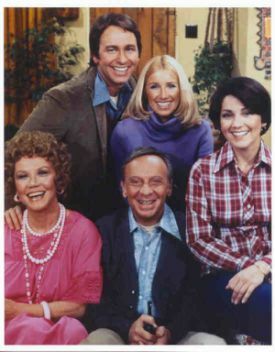 Sam, you’re gonna bring back so many memories… Three’s Company – classic. The Waltons – still watch reruns, very well written. Batman – so fun and cool for kids at heart. The Love Boat – yes, great theme song! But I was so naive about how much hanky panky was actually going on… Newhart – I will never believe it was all a dream! !